NOT DETECTED (detection limit = 0.005 ppm): difenacoum, warfarin, diphacinone, chlorophacinone. 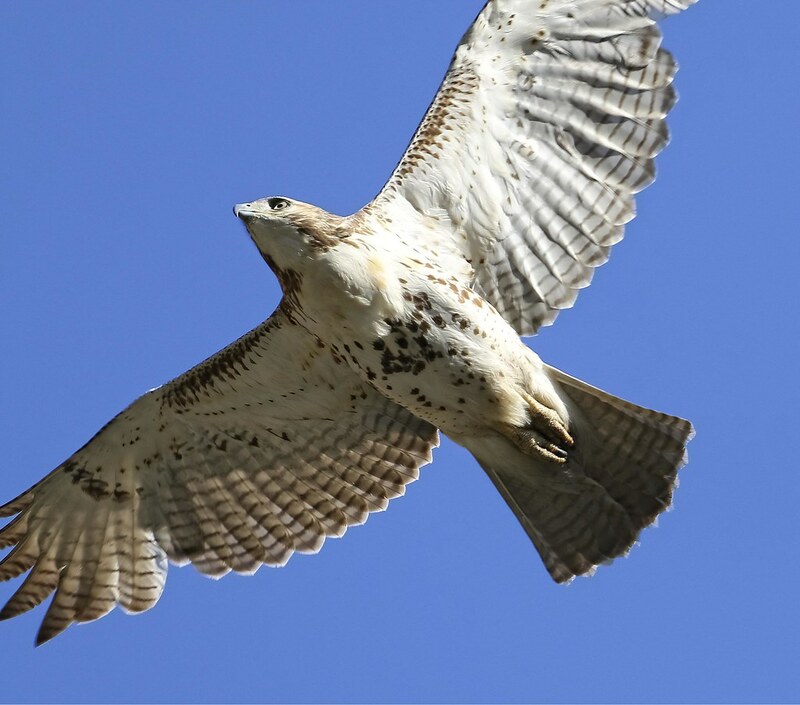 I knew next to nothing about rodenticide before this hawk died. Since then, I've taken myself on a crash course which has been horrifying and depressing. A Google search of any of these terms returns a tidal wave of results about dangers to wildlife and pets. And why New York rejected the EPA ban on these poisons still boggles my mind. If anyone can shed some light on this decision, I'd appreciate it. 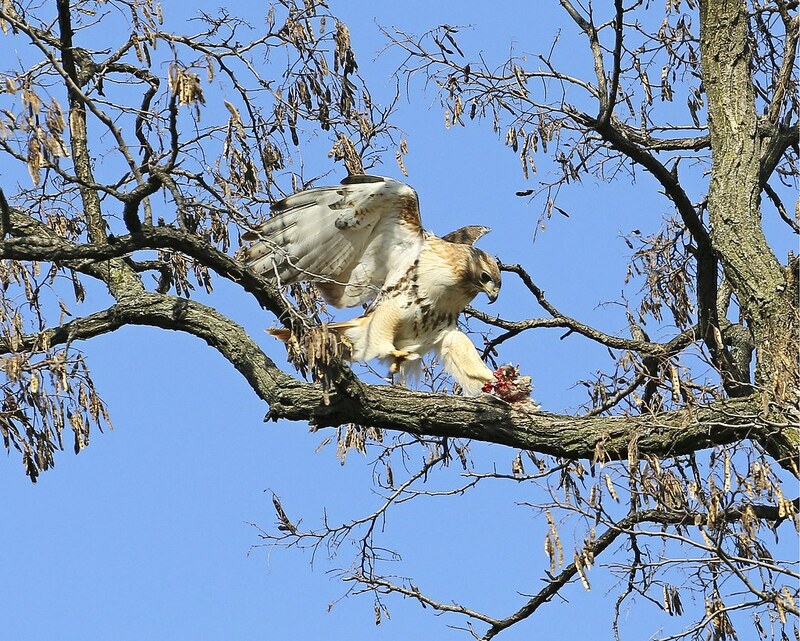 In the mean time, the surviving male red-tail is still hanging around Collect and Columbus parks in Chinatown. 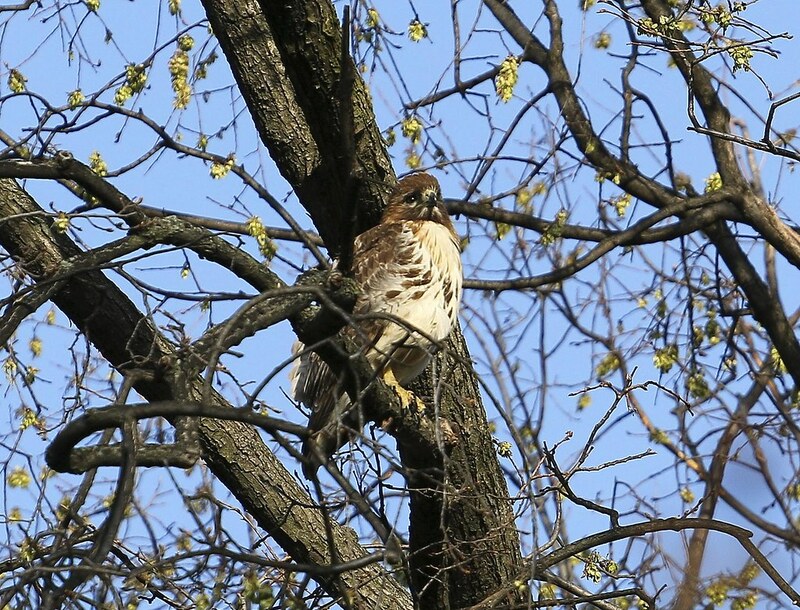 He has been spotted this last week with another hawk and it is presumed this could be his new mate. 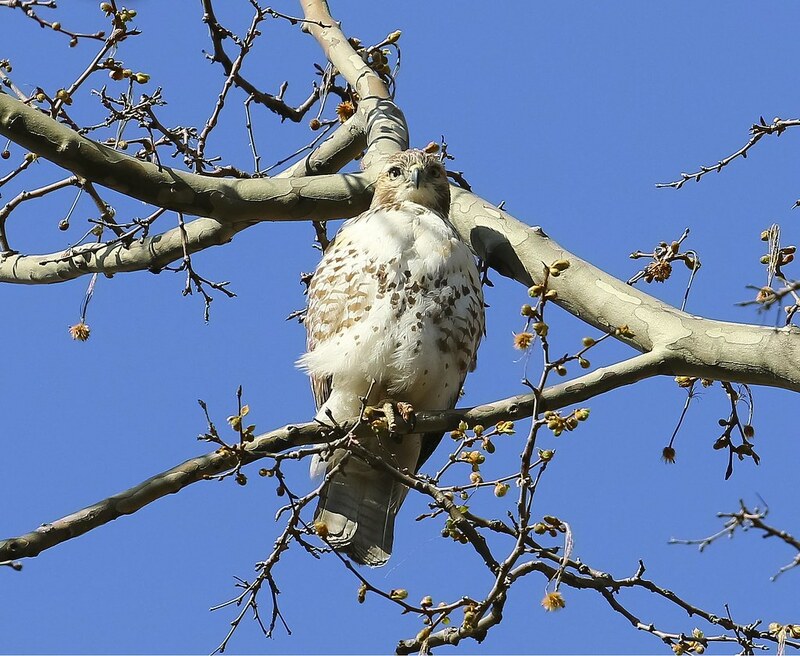 I haven't been able to put in too much time hawk-hunting this week, but I did look around the Lower East Side this morning and was surprised to come upon this juvenile red-tail. It has a very white chest with a barely-there belly band. 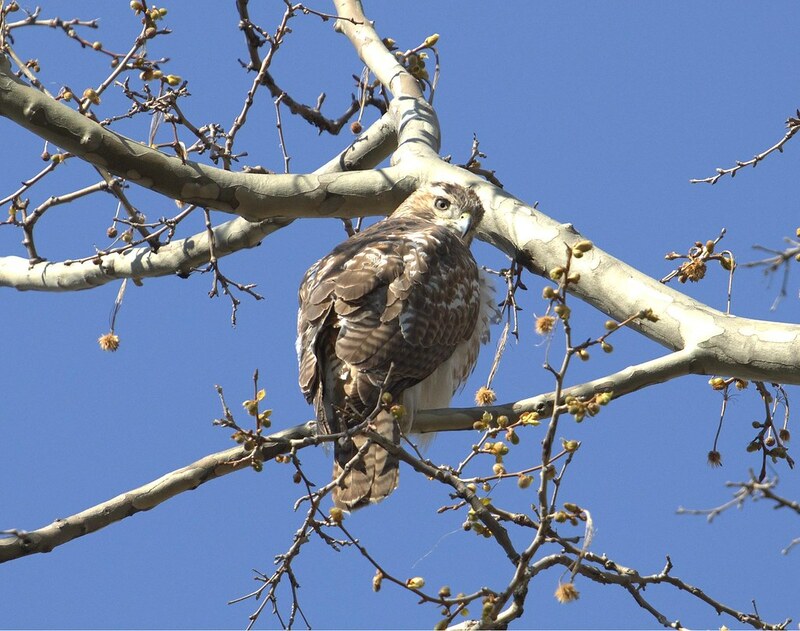 When I found it, the hawk appeared to be hunting around a playground near Madison and Catherine Streets. This is just a short distance east of Columbus Park. 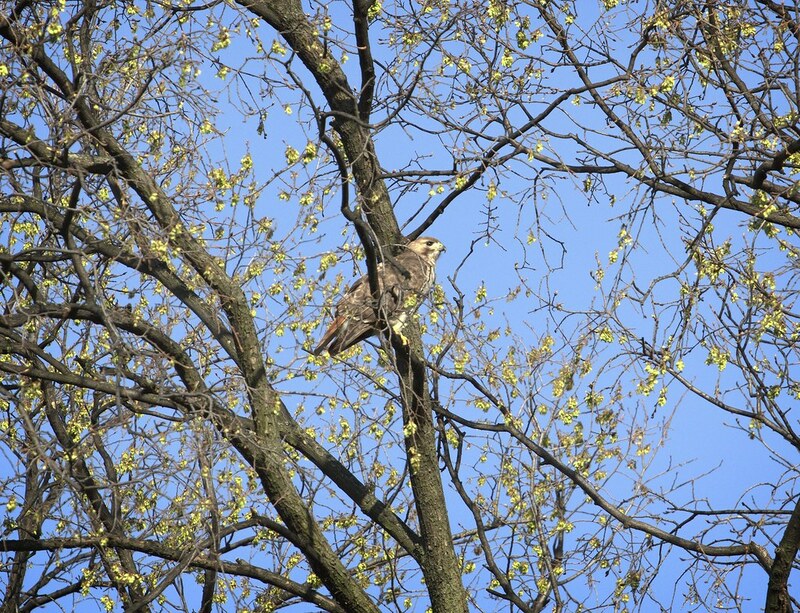 Back in Tompkins Square, Christo and Dora are doing well with their nesting. There's not much action to be seen at this time except nest-switches. This is Christo surrounded by green buds. 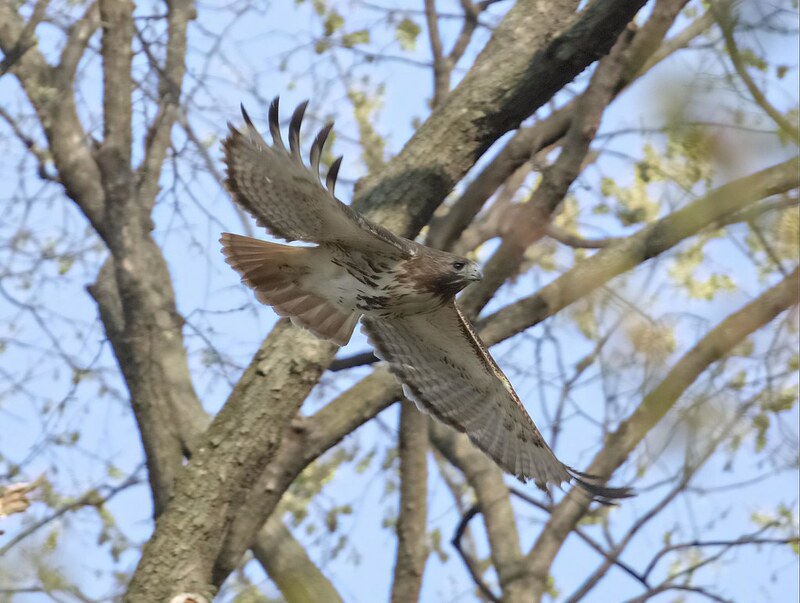 Soon those leaves will be out and we'll have difficulty seeing the hawks in the trees. I'm guessing the eggs (assuming there's more than one) are due to hatch in a couple more weeks, around the end of April. We may get a clue when Christo suddenly starts making a lot of food deliveries to the nest. 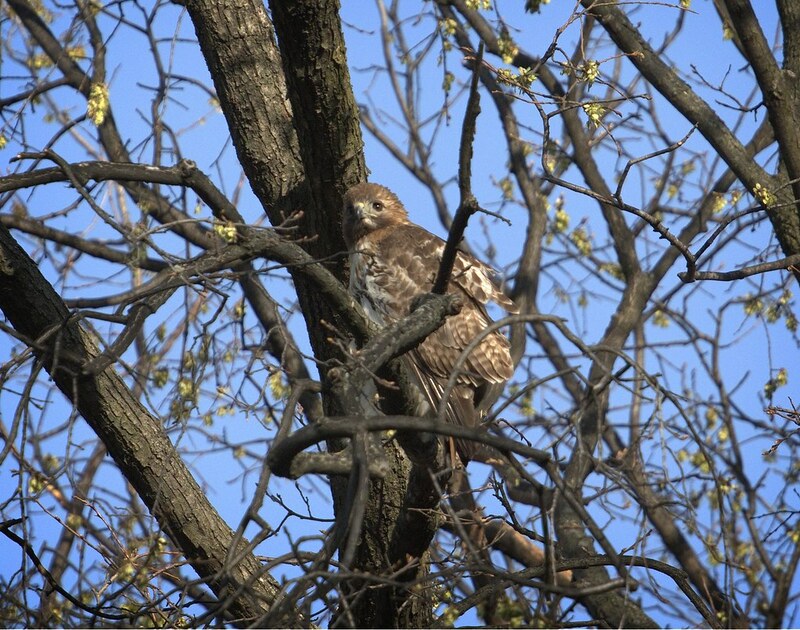 Morningside Hawks has a detailed and informative update of all the known Manhattan hawk nests. Urban Hawks is also keeping track with a spreadsheet here. We should be seeing the first hatches very soon.